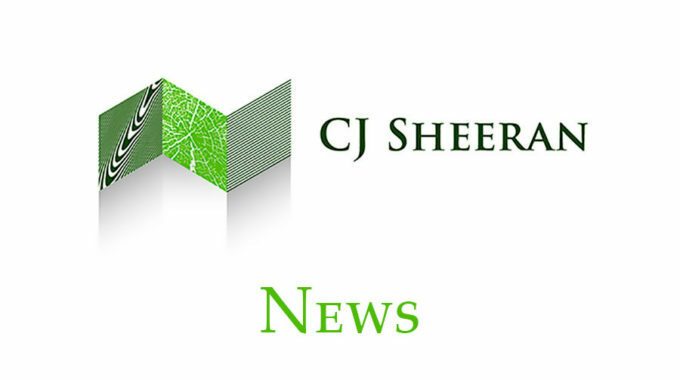 2012 was a busy year for CJ Sheeran especially with the acquisition of a major player in the pallet industry in August. Wood Systems were a large scale manufacturer with a state of the art Corali Nailing Line capable of producing 2400 pallets in a single shift. “We were delighted with the move” stated Mark Sheeran Managing Director. “We have held on to the Ballinrobe site with manufacturing back to where it was before closure”. Not only that but Sheeran has invested significantly on the site with the installation due to be completed shortly on a high speed Kiln and Heat-Treatment Chamber with a capacity of over 5000 pallets per week! “It’s fantastic to be back up and running” said Fergal Moran , Sales Manager “the synergies created by both companies cannot be overstated and although having come through a very difficult time, the Ballinrobe Plant is envisaging a bright future. Our customers have been very loyal to us, which demonstrates our commitment to excellent quality and service” he added. The company now has 2 manufacturing plants (Mountrath and Ballinrobe) with depots in Dublin and Limerick with another planned for Cork in the near future. “Our aim is to be as close to our customers as possible” said Brendan Hogan Recycling Manager at the company, “with ever increasing transport costs and customers reducing stocking levels we need to adapt”. The recent heavy losses sustained by several pallet companies suggests that the industry is struggling. Pallet users need to be sure that they have continuity of supply and Sheeran with a strong balance sheet, well located manufacturing plants and depots close to customers seem to be in a strong position to service cutomers’ pallet requirements.